Information: Florida residents and visitors can experience Florida’s unique saltwater fishing opportunities without being required to have a recreational saltwater fishing license on Nov. 24. 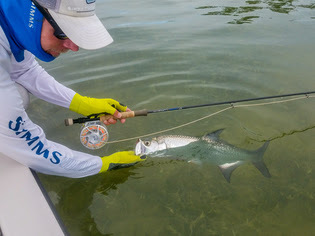 Fishing licenses can be purchased at 1-888-FISH-Florida or at GoOutdoorsFlorida.com. All fishing license fees are used to support fish and wildlife conservation in Florida and help attain additional funding from the Federal Aid in Sport Fish Restoration program.